When it comes to large websites, such as e-commerce sites with thousands upon thousands of page, the importance of things like crawl budget cannot be understated. Building a website with an organized architecture and smart internal linking strategy is key for these types of sites. 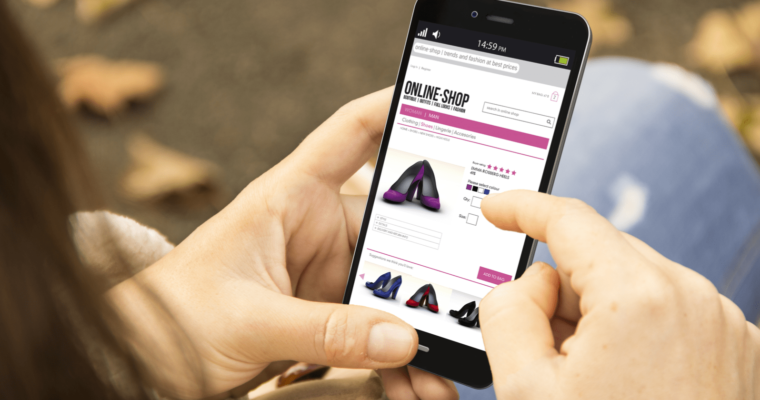 However, doing that properly oftentimes involves new challenges when trying to accommodate various attributes that are a common theme with e-commerce (sizes, colors, price ranges, etc.). Faceted navigation can help solve these challenges on large websites. However, faceted navigation must be well thought out and executed properly so that both users and search engine bots remain happy. To begin, let’s dive into what faceted navigation actually is. Faceted navigation is, in most cases, located on the sidebars of an e-commerce website and has multiple categories, files, and facets. 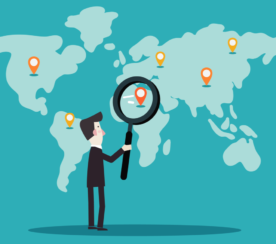 It essentially allows people to customize their search based on what they are looking for on the site. For example, a visitor may want a purple cardigan, in a size medium, with black trim. Facets are indexed categories that help to narrow down a production listing and also function as an extension of a site’s main categories. Facets, in their best form, should ideally provide a unique value for each selection and, as they are indexed, each one on a site should send relevancy signals to search engines by making sure that all critical attributes appear within the content of the page. Filters are utilized to sort items with a listings page. While the user can use this to narrow down what they are looking for, the actual content on the page remains the same. This can potentially lead to multiple URLs creating duplicate content, which is a concern for SEO. As different parameters are created, they can quickly multiply. The number of incredibly-related pieces of content continues to grow significantly and different links may be going to all of these different versions of a page, which can dilute link equity, and thus affect the page’s ranking ability. In order to be able to make sure that search engine crawlers aren’t wasting valuable crawl budget on pages that have little to no value, you need to take certain steps. That starts with preventing search engine bots from crawling certain multi-selected facets, such as “color” or “size”. When trying to determine how to solve this faceted navigation conundrum, there are a few solutions that are implementable. Which one to use, however, will rely heavily on what parts of the site should be indexed. Noindex tags can be implemented to inform bots of which pages not to include in the index. This method will remove pages of the index, however, there will still be crawl budget spent on them and link equity that is diluted. 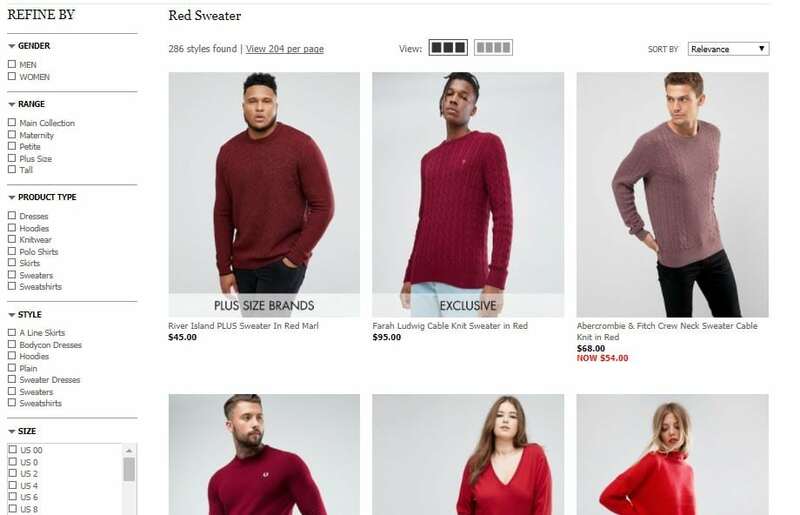 For example, if you wished to include a page for “red sweaters” in the index, but did not want “red sweaters under $50” in the index, then a noindex tag to the second result would exclude it. Bots would still be able to find and crawl the page, though, and this causes crawl budget to be wasted. The pages would also still get wasted link equity. A disallow can be implemented for certain sections of a site. The advantage to this solution is that it’s fast and customizable. However, the disallow is merely a directive for Google, and they do not have to abide by it. In addition, link equity may be hindered from flowing to different parts of the site. For example, we could disallow red sweaters under $50 in the robots file, instructing Google to not visit a page with the >$50 parameter. However, if any follow links pointing to any URL with that parameter in it existed, Google could still possible index it. Canonical tags allow you to instruct Google that a group of alike pages has a preferred version. Link equity can be consolidated into the chosen preferred page utilizing this method. However, crawl budget will still be wasted. 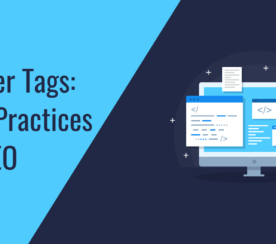 Canonical tags can also be ignored by search engines, so this solution should be used along with another. For example, /red-sweaters?under-50/ could have the canonical URL set as /red-sweaters/. Google would attribute the authority and link equity to the canonicalized page, but crawl budget would still be wasted. In order to ensure that this method is effective, it is necessary that a crawl path is accessible to the particular pages that are important to get into rankings. The pushState method of the HTML5 history API and server configuration that responds to these requests with HTML rendered server-side can help ensure that AJAX can fully work its magic and keep SEO in a healthy state. This should ideally be a last resort option. It is a decent temporary solution while adjustments are being made to the navigation. This is because it only instructs Google on how a site should be crawled, instead of correcting the issue. By navigating to the URL parameters tool in Google Search Console, you can choose what effect each parameter has on the page and how Google should treat those pages. Implement pagination with rel=”next” and rel=”prev” in order to group indexing properties, from pages to a series as a whole. Each page needs to link to children pages and parent. This can be done with breadcrumbs. Use rigorous URL facet ordering so that duplication problems do not arise. Prevent clicks when no items are present for the filter. Only use canonical URLs in sitemaps. Facets should always be presented in a unified, logical manner (i.e., alphabetical order). Don’t rely solely on one “fix” if it doesn’t take care of indexing, link dilution, and crawl. For example, noindex and nofollow tags do not help with crawl budget. Same with configuring parameters in Google Search Console. If a particular combination of facets occurs that receive a good amount of traffic, consider allowing indexation. 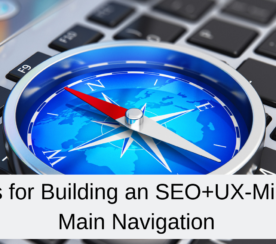 Although faceted navigation can be great for UX, it can cause a multitude of problems for SEO. Duplicate content, wasted crawl budget, and diluted link equity can all cause severe problems on a site. It is crucial to carefully plan and implement the necessary methods available in order to avoid any many issues down the line when it comes to faceted navigation.